Study with internationally-recognized water scientists in state-of-the-art labs and learning facilities, including the Trent Water Quality Centre, the most comprehensive mass spectrometry facility in Canada. Plants, animals, and humans all require fresh water to survive, and many living species make water ecosystems their home. With less than 2% of the Earth’s water supply being freshwater, efforts to conserve our most precious resource have become critical to survival. As a student in this program, you’ll complete a series of practical and theoretical courses drawn from four primary subjects (biology, chemistry, geography, and environmental science), providing a foundation for examining of the science of water and the aquatic environment. By studying at Trent, you’ll gain a thorough understanding of contemporary water challenges, acquiring the knowledge and skills necessary to respond to aquatic issues in Canada and around the world. 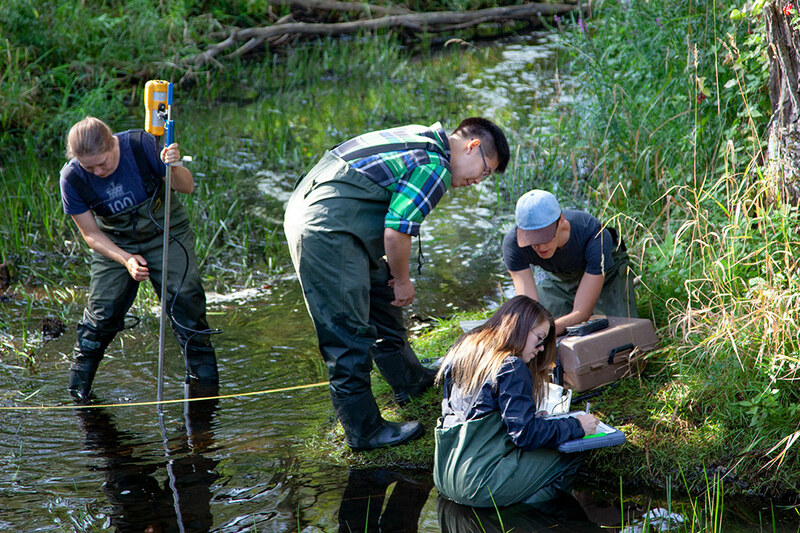 “Not only is Trent the number one school in Canada for Environmental Science, but we also have this awesome campus to use right at our fingertips."